Cello attaca is a cello ensemble made up of the current and former students of Slovenian cellist Karmen Pečar. 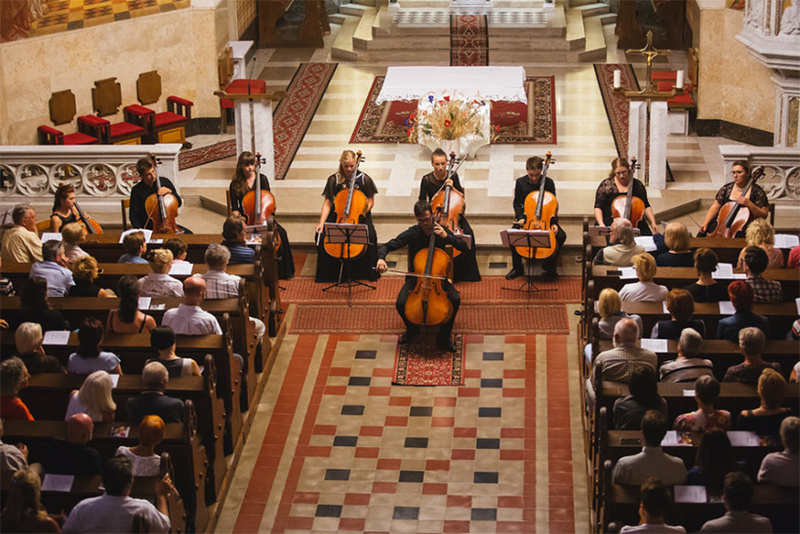 For many years, Karmen Pečar has acted as a concert master of the Cellomania project, which was started and led by Croatian cellist and pedagogue Valter Dešpalj. Having grown up in an environment that supported socializing and playing music together with other cellists, she wished to share this valuable experience with her students and encourage them to enjoy the beneficial effects of active listening and playing in a chamber group on their development and growth. The Cello attaca! ensemble was given its first opportunity to perform by Festival Bled and its artistic director Jernej Brence. Since then, the ensemble has grown in size and repertoire, and this year it has finally received its first invitations to perform on concert stages across Slovenia.